Network Bulls is the premier institute for networking trainings in India. Founded in 2009, Network Bulls offers advanced trainings in Associate, Professional and Expert level in Routing & Switching, Security and Voice track certifications which are offered by Cisco Systems. Network Bulls’ head office is located in Gurgaon. Network Bulls has World's Largest Cisco Labs which are well equipped with latest Cisco racks and devices and are open 24×7 for students so as they can practice according to their feasibility. Network Bulls technical team is entirely CCIE certified and have remarkable experience in networking industry. Network Bulls provides trainings in courses like CCNA R&S, CCNA Voice, CCNA Security, CCNA Data Center, CCNA Wireless, CCNP R&S, CCNP Voice, CCNP Security, CCNP Data Center, CCIE R&S, CCIE Voice/Collaboration, CCIE Security V5 and MCSE 2012. All about Network Bulls' Cisco CCNA to CCIE Training, Labs, Trainers, Awards, Placements & More from Network Bulls on Vimeo. Network Bulls’ astonishing achievements in a short span of 9+ years is more than commendable. Network Bulls is a global leader in providing quality networking training in the most synchronized manner which eventually creates a thought provoking environment for young talents. Network Bulls has achieved fairly well recognition of the sole provider of best placement records and outstanding training to students over the globe. Network Bulls has created strategically tested methodologies which are perfectly aligned together by the diversely skilled technical team that willfully pledges to take responsibility to groom raw talents into young IT professionals. Network Bulls with its unlimited buying power has developed an infrastructure which is well suited to the training requirements of students. Having World's Largest Cisco Labs, Network Bulls have laid the foundation of best networking training institute all over the world. The Labs of Network Bulls are fully equipped with latest Cisco racks and devices according to the Cisco equipment checklist and furnish the required licenses and software. Network Bulls Labs are well equipped with 1841, 2611xm, 2801, 2811, 2911, 3640, 3825, 7204 routers; 3550, 3560, 3750 Switches; ASA 5510, 5515x, 5512x Series Firewalls, IPS 4240 and 4255, WSA Iron port S170, ISE 3315, WLC/AP; IP Phones, Call Managers/MCS and all other required devices. The Labs operate 24×7 under the supervision of highly qualified CCIE certified experts. Along with this, Labs have full technical and management support round the clock. Network Bulls have provided a splendid infrastructure in its Gurgaon office which rightfully fills every single requirement of students training needs with a hope that with the provision of a healthy environment and optimized world class training, desired results come following i.e. ultimate job placements. The skilled technical team of Network Bulls provides customized trainings to its students. The technical team of Network Bulls is driven by Triple CCIE Mr. Vikas Kumar #30078 who has phenomenal experience of 15 years in networking industry. Many other highly qualified CCIE certified trainers like Mr. Gaurav Lamba (CCIE Security #37287); Mr. Mohit Bhalla (Dual CCIE # 42145(R&S,Security) + CCSI # 34989) Mr. Piyush Kataria (CCIE R&S #50204, CCIE Security Written ); Network Bulls keeping students as well as working professionals need in the forefront have organized weekend trainings. Result.Network Bulls’ technical team dedication is reflected in its job placements as Network Bulls has positioned itself as the most promising networking training institute for consistent job placements and fashioned trainings. This program includes courses: CCNA R&S, CCNA Voice, CCNP Voice and CCIE Voice/Collaboration. These 100% job guaranteed courses are designed for fresher students explicitly. Experienced professionals can also avail these courses as this would benefit them in respect to salary package, designation, power and position. The placement team of Network Bulls is highly accomplished and has designed the placement process which is practically based. They work efficiently round the clock to build corporate alliances with Multi-National Corporations and aid students placements. The placement team of Network Bulls works on target basis and effectively works on feedback given from MNCs in case of rejections. Network Bulls dedicatedly make students appear for n number of interviews till the time they are placed. An arrangement of personality development classes, English accent classes and mock interview sessions is done where highly experienced and passionate trainers take sessions to mentor students and enhance their personality. To claim a position in training industry, placement record of any institute holds a primary role. Network Bulls has gracefully loomed out as the best institute with outstanding placement record. Network Bulls students are placed in maximum CMM 5 level organizations like Cisco Systems, Orange, Tech Mahindra, RBS, Indian Oil, Dimension Data, British Telecom, Ericsson, Dell, HCL, Aricent , Toyota, TCS, Accenture , Wipro, IBM, Infosys, Mphasis, Velocis, Network Bulls Technologies and many other companies as well. Network Bulls provides 100% job placement guarantee to students enrolling themselves for CCIE level course trainings. Network Bulls has adopted well defined placement procedures which are finely executed by the skilled management team to bring out maximum placement percentage. Visit www.networkbulls.in which is an exclusive placement portal of Network Bulls having authentic testimonials. NB competent management team works on building corporate alliances with companies at CMM level so as placement drives can be conducted. Network Bulls has been consistently rewarded with the recognition of “Best Placement Record in Networking Industry” for the year 2013 and 2014 as well. What makes Network Bulls different from others? Network Bulls has incredibly positioned itself as the best institute for networking training and has earned a position globally well in terms of provision of training facilities, training methodologies, and placement records. Network Bulls gives parallel attention to two vital strings that earns an institute a worldly recognition i.e. Knowledge and placements. While other institutes are busy generating number of CCIE in the industry, Network Bulls have kept placements a priority. Network Bulls is the only institute in North India who has all the lab equipment required for CCIE Security V5 certification training. Network Bulls is the only training institute in India offering CCIE R&S V5 training on Fully Equipped labs as per Cisco Lab equipments checklist. Network Bulls focuses on knowledge and practical based training rather than theoretical training. Network Bulls provides Cisco devices and racks facilities 24×7 for students and lab mentors who are CCIE certified. Network Bulls understands deeply that students invest a huge amount of money in their training and accordingly have designed training and management procedures which would assist students comprehensively. Network Bulls has won several awards for its outstanding work. Network Bulls is a place where a student goes through intensive training which is structured especially by skilled and experienced professionals who are entirely dedicated towards students’ welfare. Network Bulls not just only imparts pieces of training but also grooms the student keeping in picture students’ overall development. Network Bulls through its intuitive training is blazing careers of many students worldwide and continues to serve the networking training industry through its innovative ideas and extensive management services. With highly skilled trainers who are CCIE certified and have remarkable expertise in networking industry; training becomes more than learning as students can inherit part of their experience. Network Bulls understands that students pay hefty amounts to get quality training and hence has designed the training with cohesive training management that intends to bring maximum placement and passing rate. Network Bulls has incorporated Modern Training Methodology which is more superlative than Traditional Training Methodology which usually other institutes follow nowadays. Network Bulls has received many accolades by winning and receiving many Education Excellence awards at different podiums and award functions. One more moment to cherish in Network Bulls Hall Of Fame, for winning the “Best Placement Record in Networking Industry(2018-2019) Award” in the World Signature Awards organized by APS Research & Media on 18th of January, 2019. The Founder and CEO at Network Bulls, Mr. Paras Jairath and The Chief Technical Officer Mr. Mohit Bhalla had a pleasure to receive this award by the Bollywood Signature Star Mr. Govinda. On 28th Jan 2018, Network Bulls won "The Best Placements Record in Cisco Training Industry Award 2017-India", at International Education Conference & Awards 2017 conducted by Time Cyber Media. This award was accepted by Mr. Vikas Kumar (Director, Network Bulls) and Mrs. Ritu (HR Manager) by the chief guests- Shri Chetan Chauhan (Former Indian Cricketer and Hon'ble Minister of Sports & Youth Welfare Department, Uttar Pradesh) and Shri. Upendra Kushwaha (Hon'ble Minister of State for HRD in Government of India). Winning "India’s No.1 Cisco Training Company With best Placement Record In 2016" by World Wide Achievers in the year 2017, added one more accolade to long list of awards won by Network Bulls. Award was received by Mr. Vikas Kumar (Co-Founder & Director, Network Bulls) accompanied by her wife Mrs. Ritu (HR Manager) from chief guests Mr. Syed Shahnawaz Hussain (Spokesperson of the Bharatiya Janata Party and a former Cabinet Minister) and Mr. Upendra Kushwaha (Minister of State of HRD, Govt. of India). In the year 2016, Network Bulls bagged “Most Promising Cisco & Microsoft Training Company with Proven Placement Record 2015” award by Prime Time. Award was received by Mr. Vikas Kumar, Founder & MD Network Bulls. It was presented by former Indian cricketer Mr. Maninder Singh and renowned lawyer Mr. Somnath Bharti. Network Bulls has been bestowed with an award "Best Network Security Training Institute with Proven Placement Record in Networking Industry of the Year, 2014” by Worldwide Achievers (earlier known as Time Research). The award was presented to Mr. Paras Jairath, CEO & Co-Founder, by Mr. Shashi Taroor, Minister of State for HR Development, India in 2013-14 and Mr. Maninderjeet Singh Bitta, Chairman, All-India Anti-Terrorist Front (AIATF). Network Bulls has won two awards “Best Network Security Training Institute in India, 2014” and “The Best Placement Record in Networking Industry, 2014” awarded by Prime Time Research in 2014. Network Bulls has won “Network Security Training Institute of the year, 2014” award, and adding it to the Network Bulls Hall Of Fame. The award was presented by Ms. Soha Ali Khan at the Brands Academy Awards, 2014. We are the first institute to have been awarded for the best placement record in networking industry in India. We have won the award "Best Placement Record in Networking Industry" for two consecutive years, 2013 and 2014 awarded by Prime Time Research. We have won another award "Best Network Security Training Institute for Upcoming India, 2013" awarded by Prime Time Research in 2013. Network Bulls won "Best Networking Training Institute, 2013" award, by Time Research in 2013 (now known as Worldwide Achievers). We have won "Best Cisco Training Institute 2012" award presented to us at Indian Achievers Podium/Forum in the year 2012. Network Bulls has been bestowed with an award "2012 Dr. B R Ambedhkar Sewa Ratna Award", for being the "Best Network Security Training institute 2012". The event was organized by Prime Time Research Media. We have been awarded by Time Research Media as "Best Networking Training Institute 2011". The award was presented to us by Mr. Kirti Azad, Retired Indian Cricketer and MP of Delhi. Network Bulls from the year of its foundation has created an idealistic image of best networking training institute. Starting from the provision of refined trainings, application of superior class training methodologies and having the best placement record; Network Bulls have earned the position of best networking training institute globally. 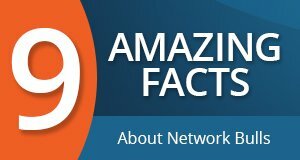 Students from countries like Nigeria, Angola, England, USA, Australia, Dubai, Saudi Arabia, Sudan, South Africa, Malaysia, Sweden, Congo, Iraq, Ghana, Algeria, Cameroon, Egypt, Japan, Mongolia, Hong Kong and other countries have come to Network Bulls to enroll themselves for courses like CCNA R&S, CCNA Security, CCNA Voice, CCNP R&S, CCNP Security, CCNP Voice, CCIE R&S V5, CCIE Security V5,CCIE Voice/Collaboration and MCSE 2012. Global admissions have always encouraged Network Bulls to perform par excellence from its own set benchmark. Network Bulls provides hostel facilities, transport facilities, food facilities and other necessary basic amenities. Network Bulls is passionately committed to enhancing the technical knowledge of students, corporate professionals by providing cutting-edge, high-value technical training that allows them to brilliantly serve their organizations. Network Bulls believes in “Success Proves Quality”; Quality is itself shelved when Success comes knocking. Network Bulls to its infinite capabilities is inclined towards shaping the careers of young IT Aspirants. Network Bulls have created a thought provoking environment for students so that they can get more and more from their training experience. Network Bulls follows a moralistic approach towards its work responsibilities. Every employee of Network Bulls is aspired and centered towards one single goal i.e. towards students’ welfare. Network Bulls aims to implement highly innovative ideas and rationalized training methodologies in an appropriate proportion and nurture raw talent along with a zest to perform exceptionally and position itself at the top of IT training industry. Network Bulls through its unlimited buying power and corporate alliances pledges to provide its students with resources which are appropriate to the learning need. Network Bulls through its 8+ year goal plan intends to embark itself as the superlative school of IT trainings all over the globe. Network Bulls has developed a rational approach towards the establishment of a standard work culture. Network Bulls follows the mantra of constant work along with perseverance. To provide world class trainings, one has to follow few key concepts which are essential to head on the road to success. These key concepts are morals, positive attitude and innovation. Network Bulls has implemented innovative training methodologies which have cultivated success itself. Network Bulls technical team and management team works with full intent and dedication to bring maximum passing and placement rate. Network Bulls after establishing a name in networking training industry have launched Network Bulls Technologies Pvt. Ltd. which is a System Integrator IT company. NBT: It is a System Integrator IT company which offers IT Support and Services, IT Products and IT Trainings. NBT is ISO certified. Alliances of NBT: Network Bulls Technologies is partner with IT giants like Cisco, Symantec, Dell, Oracle, IBM, Citrix, McAfee, Brocade, Sophos, VMware, HP, Ruckus, Microsoft, D-Link, Cyberoam, Netmagic, Tyco Electronics, f5 and many other well established brand names. Visit www.networkbulls.org for more details.